Mon-Fri. Sales 10am - 5pm Eastern Time or order on-line anytime. We ship from the closest stocking warehouse. DennisB DenLorsTools.com © Summary: Quick instructions on how to install the 248731 u-joint in many floor jacks. Also see the installation video below. The 248731 universal joint is used on many different brand floor jacks. It transfers the twisting action form the floor jack handle to release hydraulic pressure or seal the pressure so the jack can be jacked up. The universal joint is necessary to allow the pivoting of the floor jack handle. The u-joint on these jacks last a long time but they are a common wear item that can cause binding or they can many times simply break leaving the jack not usable. The 248731 universal joint is used on many popular floor jacks. Application is for the following 2 ton up to 3 ton capacity floor jacks. * Snap On – YA642 * Snap On YA700 – YA700B * Mac Tools JS642USA * Lincoln- 93642 – 2 ton floor jack * Lincoln- 93652 – 3 ton floor jack * Hein Werner – 93642 * Hein Werner – 93652 * Napa 91-642 * Marquette and more! The 248731 supersedes the following part numbers – 228356, 228349, 227874, 890-022-666 and YA700B3. We also have the measurements of the u-joint in case you’re still unsure if it will work on your particular jack. 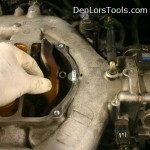 © DenLorsTools.com Summary: The proper automotive tools are just one key component for a successful auto tech. Times have changed with vehicles becoming more complex all the time. 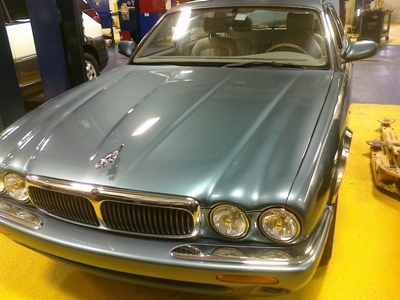 Summary: Jaguar XJ-8 no start problem. 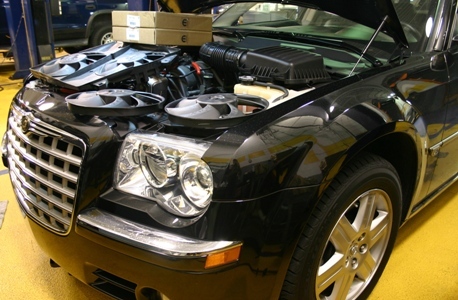 One of the most common causes of a no start condition in one of these Jags is a bad fuel pump. Where’s the fuel pump you ask? See the entire repair blog, included is a picture of the fuel tank. The pump is located inside. Summary: Rear wiper motors on many types of SUV’s and mini vans commonly fail. One reason they fail is due to infrequent use. Electric motors tend to work better when they are used often. 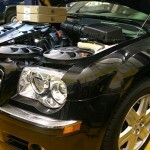 Sometimes a rear wiper motor can be tapped lightly to make it work temporarily. This is a quick test (used a lot on Fords) that will help to verify there’s power present at the motor. The wiper motor may stop again before long, but knowing that the motor is getting battery voltage without having to take the trim panel off for testing is a definite plus. 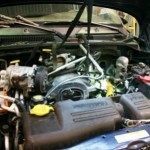 The vehicle featured in this car repair article is a Chevy, which doesn’t have the common Ford rear wiper problem. 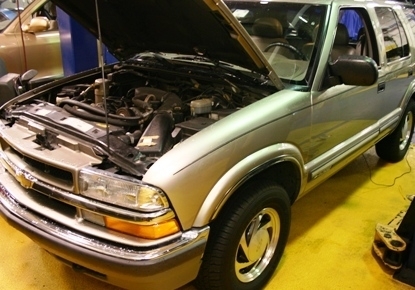 The 1999 S-10 Blazer hatch has been opened and closed many times over the years. This can cause the wiring from the body to the hatch to weaken over time much like breaking a wire hanger by bending it in the same position repeatedly. 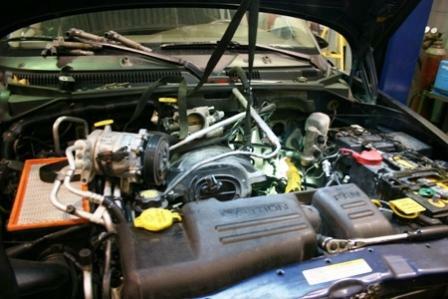 Summary: Mopar 4.7 engines used in many Jeep and Dodge vehicles share a common problem. Misfires which are accompanied with coolant loss, rear heater not working properly and engine temperatures running a higher than normal range, could have a leaking head gasket. 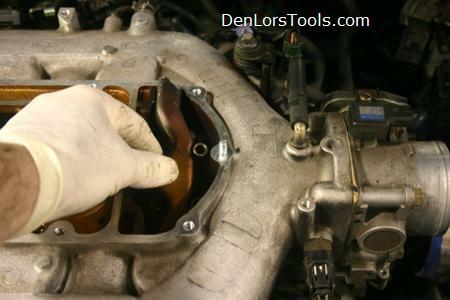 There’s a couple of simple ways to check for a blown head gasket, one is by using a block test kit, another way is to use a cooling system pressure tester and removing the spark plug in the misfiring cylinder. 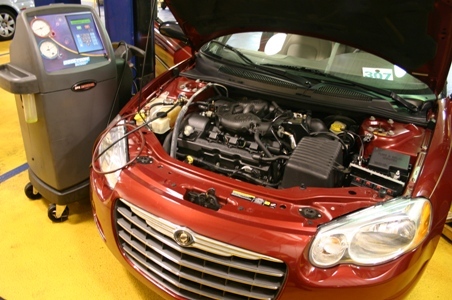 The Robinair AC Machine is one of the most popular units for car air conditioning service. 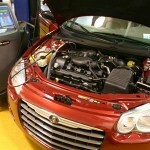 ©DenLorsTools.com Summary: In this auto repair article we discuss the reasons why a car’s air conditioning system may leak water inside the vehicle. Sometimes the fix is simple and other times the repair can be much more labor intensive. As an automotive technician that’s worked over 25 years in Florida, I’ve dealt with this problem many times on different models. If leaks aren’t fixed quickly, the carpet and padding underneath can become a breeding ground for mildew and harmful bacteria. People with certain allergies can be affected the most. 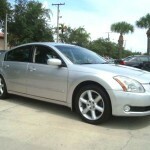 © DenLorsTools.com Summary: In this article we point out a common problem with Nissan automobiles equipped with the 3.5 Liter engine that causes engine tapping noises typically on cold start up. The engine has variable timing cam sprockets, three timing chains, three tensioners and three guides. 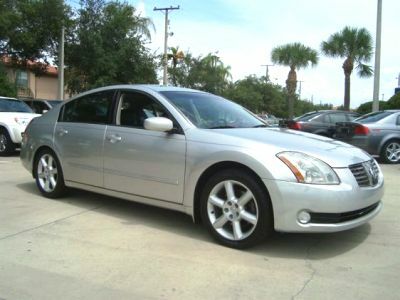 Vehicles subject to similar issues may include Nissan Altima, Maxima, Murano, 350Z, Infiniti G35, G37, EX, FX, M series and QX4. Misfires particularly in Ford cars and trucks can many times be identified before a misfire code sets and turns the CEL (Check Engine Light) on. This is a huge time saver, especially when there is a definite misfire felt but the code seems to take forever to appear. Fords take a long time in some cases to run through it’s necessary drive cycles needed for self testing. 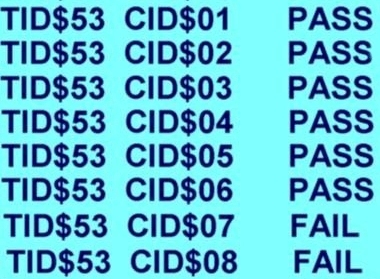 Auto technicians deal with this common problem of diagnosing misfires on Ford vehicles with no codes set by using Mode $06. 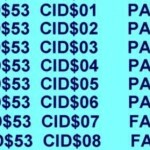 Usually only manufacturer specific scan tools will display misfire data when there’s no code, but OBD 2 generic scan tools that can access mode 6 on Ford vehicles can be a great help. Who knew the EGR passage on this Honda was underneath a cover on the plenum? The best source for free auto repair manual information on-line can be found by simply using Google or other search engines for the mechanical problem or issue at hand. For instance if you were having a problem loosening a Honda crank pulley bolt for pulley removal; just type into Google “honda crank pulley removal” and you will find helpful information. Ask a Master Tech which kit you need. 800-524-9783 x251. Master Kit for Ford 2V and 3V Spark Plugs? Parts store spark plug thread repair failed!